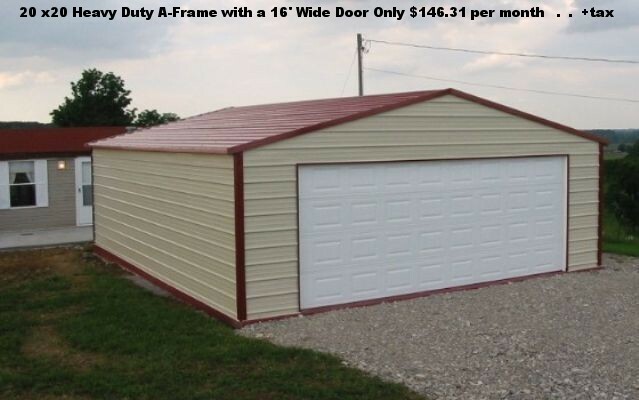 With 100's of different sizes, styles, and the lowest prices for 200+ miles, why keep looking, Wildcat Barns has the garage your looking for. 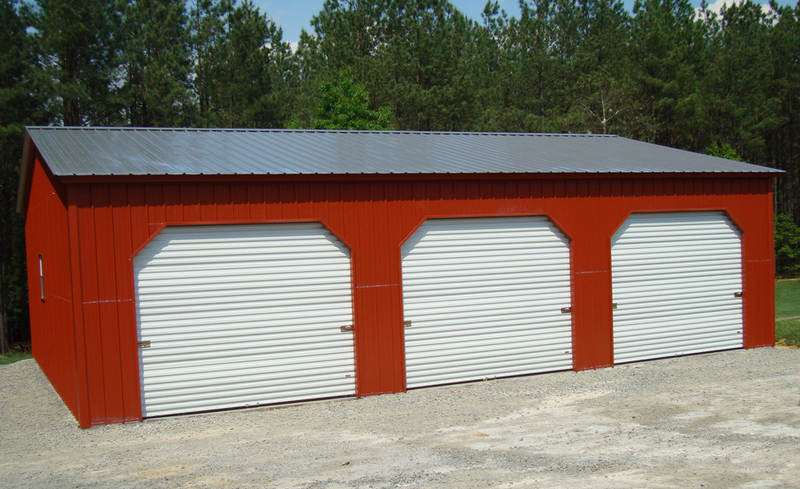 Ideal for storing vehicles, large pieces of equipment, etc. 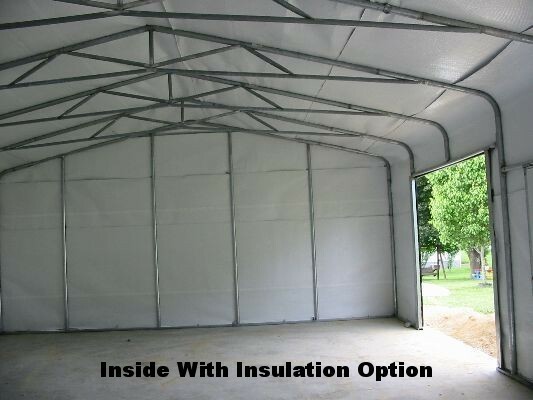 Complete Setup is included with our low prices. 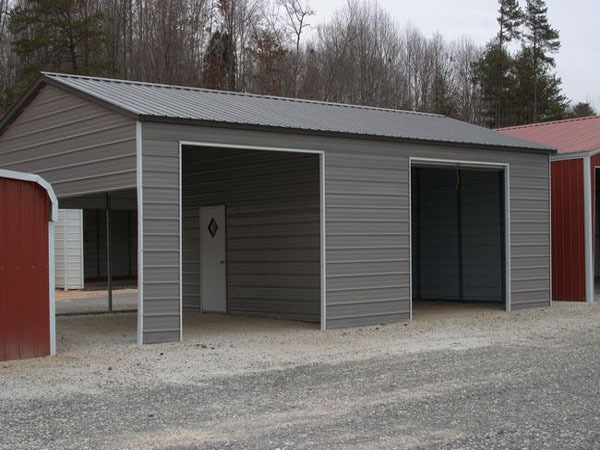 Wildcat Barns has 2 different styles of garages the Square Metal pole and the Round Metal Pole. Below is an illustration that shows the difference, along with the 2 different prices. 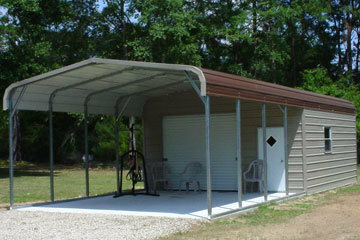 How to build your square pole garage. 4. Total everything and add your state tax. YOUR DREAMS. 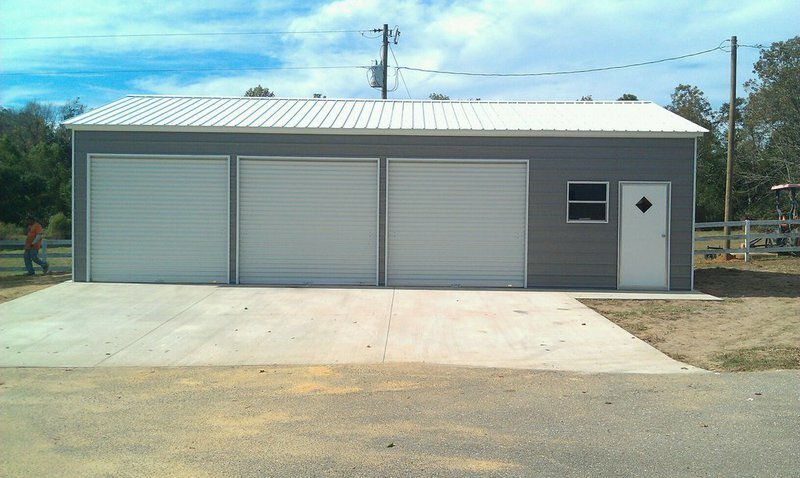 Follow the next steps to become a happy garage owner. 4. 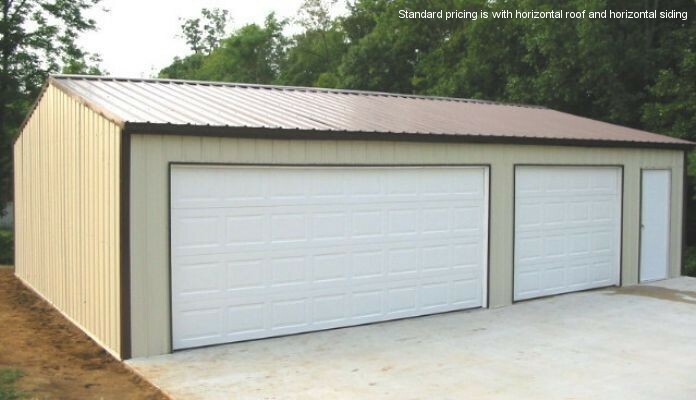 You must own the land where the garage is to be placed. 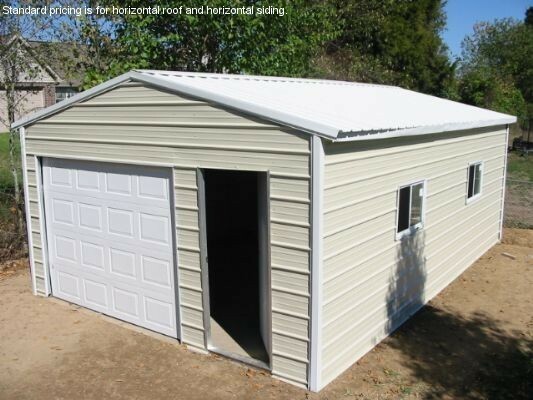 make sure we can do the rent to own in your area. Prices below is for the standard horizontal running metal. 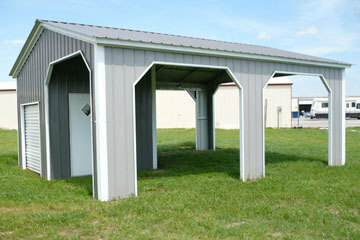 Vertical running metal option is available. 3. 25% down of your total before tax plus your first months payment. Please call us and we will assist you with figuring your payment. 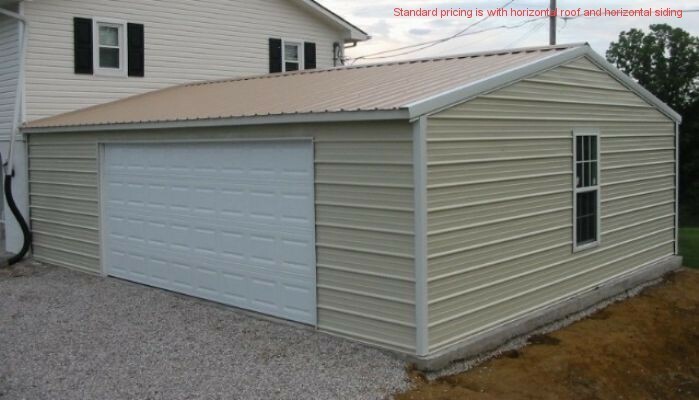 It does not matter if you have grass, dirt, or gravel in the spot you are planning for us to construct your garage. No special concrete slab is needed. 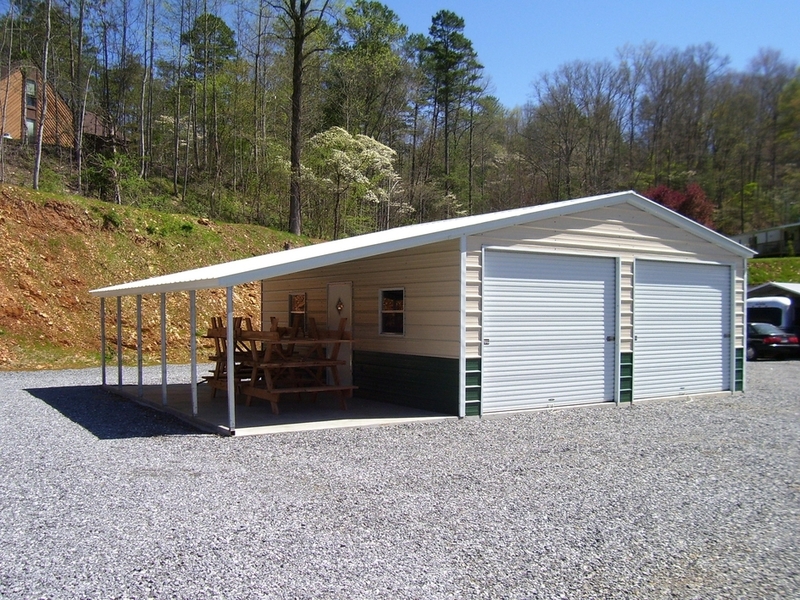 Our garages are so tough that as long as it is somewhat level ground then you can Rent-to-Own or pay cash for one of our garages. 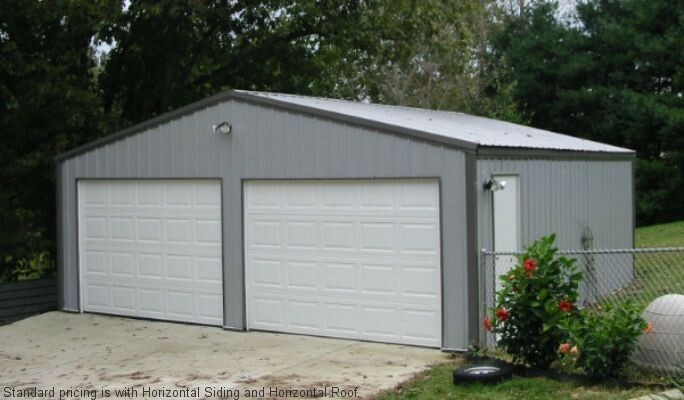 If you choose to pour a concrete slab for the garage, then your slab needs to be one foot larger in length and width. The purpose of the one foot extra is so that our concrete anchors will not bust out the edges of your slab, and will be a more secure install. If you would like your outised walls to lap over your concrete slab then please check with your building specialist for measurements. 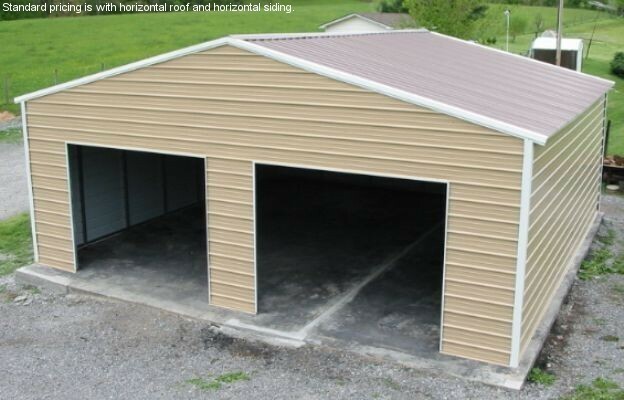 Wildcat Barns’ garages are ideal for storage of large items, such as recreational vehicles or tractors. 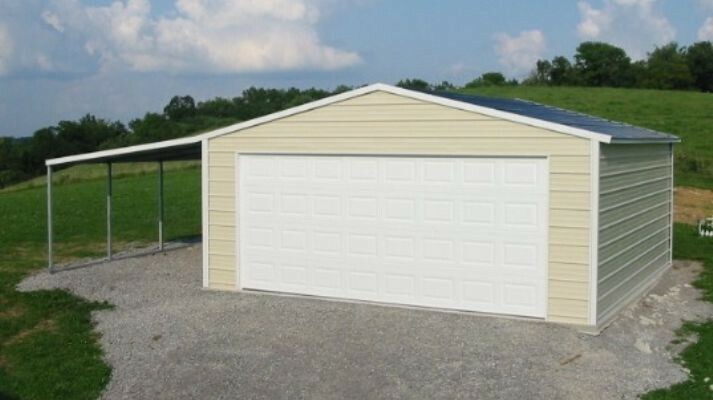 While some separate garages can be an eyesore, Wildcat Barns supplies our customers with good looking garages that only add to your backyard, not take away from it. 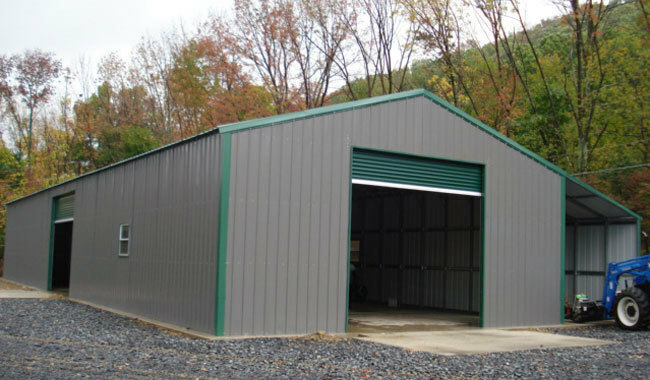 Our garages come in a variety of sizes and can be used for a variety of applications, such as heavy duty storage to workshops to everyday storage. 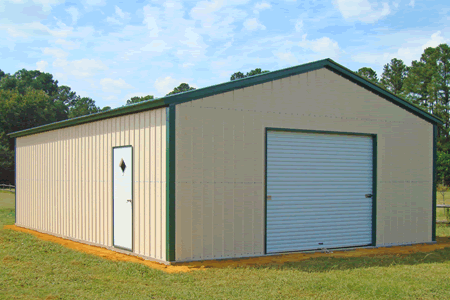 Our storage units are tough and will protect your stored items from all kinds of weather while keeping them out of sight and out of the way. Don’t wait another day. Contact Wildcat Barns today for more information. Any and all photos and publishings on this website is the sole property of Wildcat Barns. No Copying of any of this website unless written permission from Wildcat Barns representative. 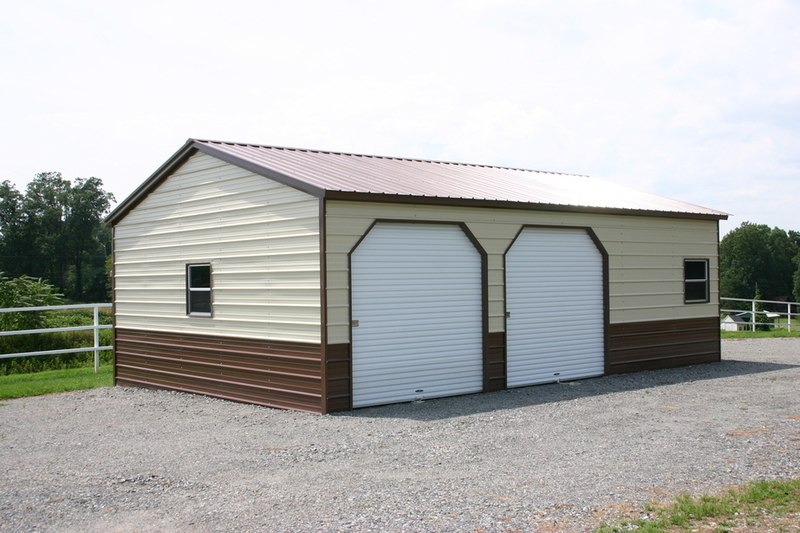 Rent-To-Own is available on everything Wildcat Barns delivers.